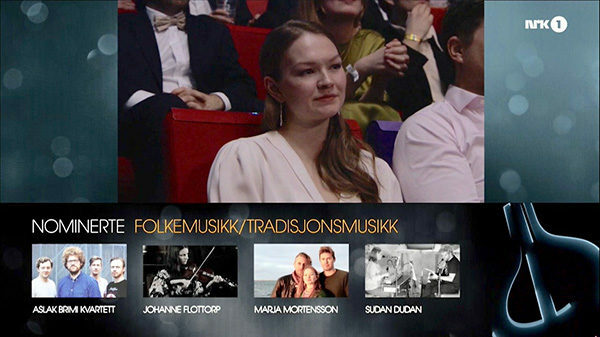 Vuelie congratulates Marja Mortensson as the winner of Spellemannprisen – The Norwegian Grammy Award – in the category of Folk music/Traditional music 2018 with the album Mojhtestasse. 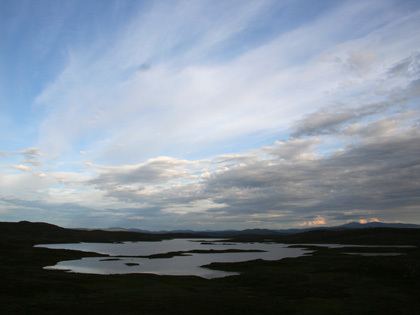 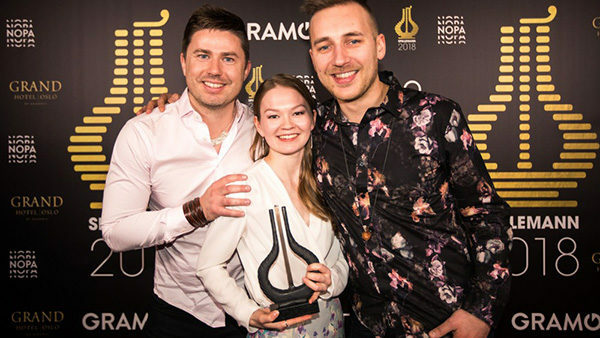 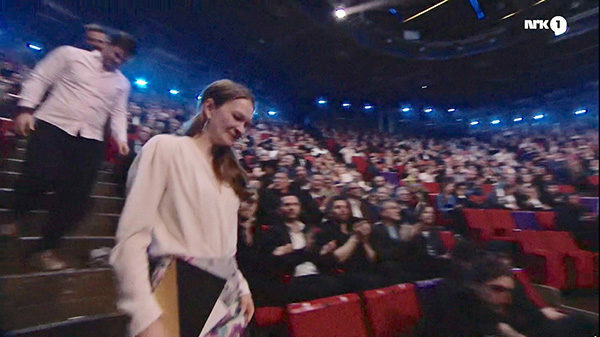 The prize was awarded March 30th 2019 in Oslo, and broadcasted live on NRK 1. 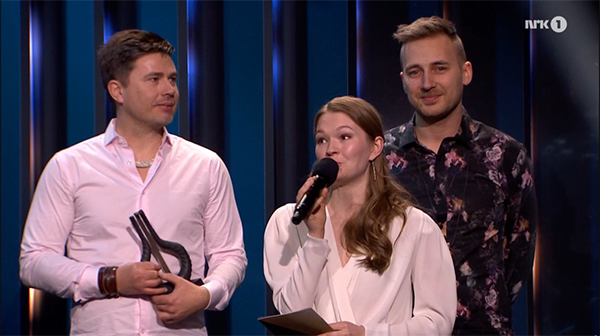 Together with Marja at the ceremony was her fellow musicians and fellow creators of Mojhestasse present: Daniel Herskedal and Jakop Janssønn.